Early February sees the first series of European major classic car auctions of the year in Paris. These auctions coincide with major automobile related show events in the French capital including the Rétromobile week. While Bonhams and RM Sotheby’s auctions concentrate mostly at the top end of the market at the Paris Rétromobile week sales, local auctioneer Artcurial Motorcars cover the full spectrum from simple runabouts to the million dollar sports and racing cars. The atmosphere is quite different from Scottsdale that traditionally opens the American classic car auction year. Rétromobile week is the first major European gathering of classic cars, classic-car enthusiast, clubs, museums, restorers, and related service providers. All together, around 500 cars are on display with around 400 exhibitors, including over 100 clubs. 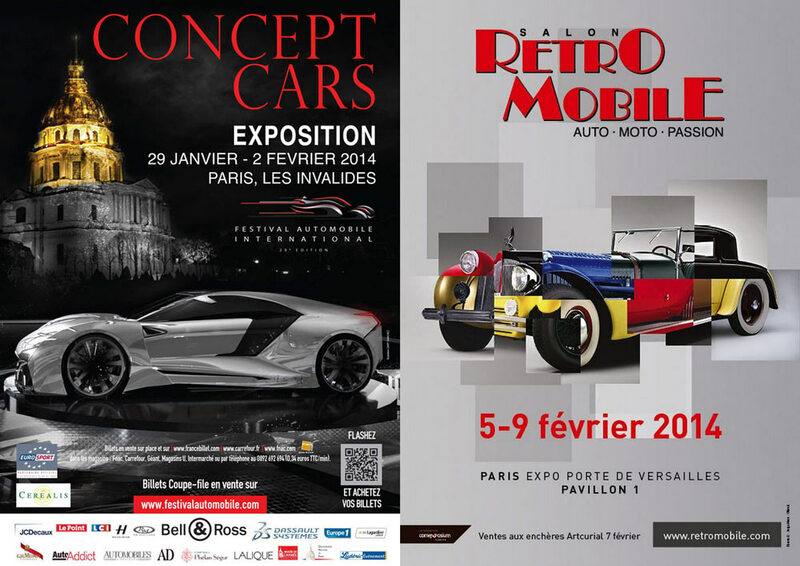 In 2019, the Salon Rétromobile is held in the Paris Expo at Porte de Versailles from 6 to 10 February 2019. The official auction linked to the Rétromobile is by the French auctioneer Artcurial Motorcars. Invariably, it is the Ferraris and classic Mercedes Benz cars that attract the highest prices but far more interesting are often the classic (and much cheaper) French cars on sale – many models are rarely seen on non-European streets. 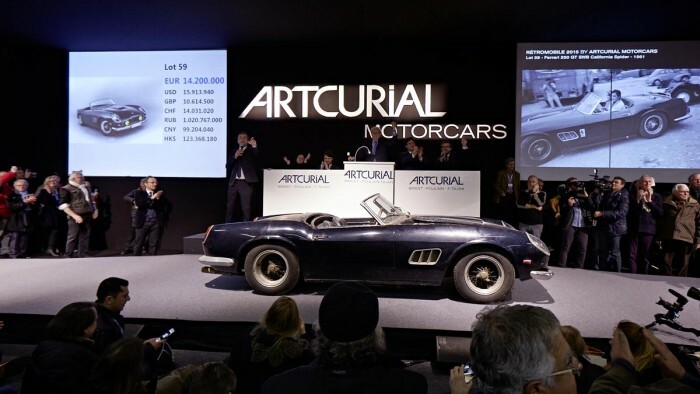 Artcurial often springs surprises: in 2015, the Baillon Collection of 60 barn-find cars included a 1961 Ferrari 250 GT SWB California Spider that sold for a model record €16.3 million ($18.5 million). 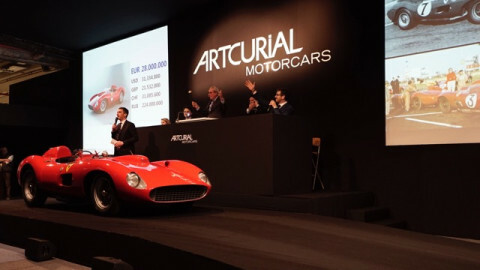 In 2016, the new Paris (and European) auction record was set when a 1957 Ferrari 335 Sport sold for €32,075,200 ($35,711,359) at the Artcurial Rétromobile auction. A second Parisian car event early in the year is the Festival Automobile International with an exhibition of concept cars. It describes itself as the fashion week of cars. Prizes are given in a wide range of categories – beautiful designs are the main criteria; practicality is of no real concern. In 2019, the Concept Car Exposition is held from 31 January to 3 February 2019 in the Hôtel National des Invalides. The official auction linked to the Festival Automobile International since 2014 is the Paris Sale of RM Sotheby’s Auctions. British auctioneer Bonhams started holding annual Paris auctions during the Rétromobile week from 2011. The not immodestly titled Les Grandes Marques du Monde auction is usually held in the Grand Palais in the center of Paris.